North Brooklyn has fast become one of the hottest areas of New York City for homebuyers, with new construction activity and prices remaining elevated. North Brooklyn encompasses the Williamsburg, Greenpoint and DUMBO neighborhoods — three unique and diverse areas, each with its own flavor and local amenities. The area’s immense popularity has put home prices on par with Manhattan, thus removing it as an affordable Manhattan-alternative for some buyers. Ever since “trendy” Williamsburg was rezoned in 2005, it has seen an unprecedented level of gentrification. Vacant waterfront properties were transformed into luxury condos and real estate prices soared — pricing many of its long-time artist residents out of Williamsburg. DUMBO is currently Brooklyn’s most expensive neighborhood, and New York City’s fourth-richest community overall — thanks to its large concentration of tech startups and close proximity to Manhattan. Many of its former industrial buildings have since been converted into luxury residential developments. In Greenpoint, homebuyers have found a spot with the same “vibe” as Williamsburg, but with a lot more space and cheaper prices. Greenpoint’s streets aren’t overcrowded like Williamsburg’s, and the area has managed to retain its quaint neighborhood feel. And, like DUMBO and Williamsburg, Greenpoint has its own waterfront with dazzling views of Manhattan — as well as close proximity to mass transit. But one of North Brooklyn’s most attractive amenities — its convenient access to mass transit — could change dramatically in 2019. That’s when the area’s popular L-train is going to be shut down for 18 months for necessary tunnel repairs caused by Hurricane Sandy. Home prices in North Brooklyn have been falling sharply as the shutdown approaches. And while the MTA is sure to offer travel alternatives for the duration of the repairs, it is doubtful those alternatives will come without added headaches or offer the ease of the L-train. 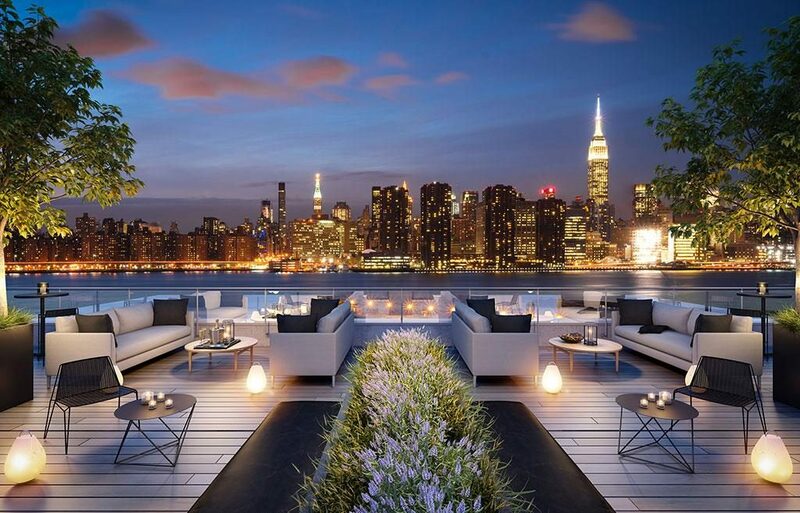 Pierhouse at Brooklyn Bridge Park is developed by Toll Brothers City Living and Starwood Capital. Located at 90 Furman Street, it houses a total of 106 units, with sizes ranging from 2,916 square feet to 4,885 square feet. Situated on prime waterfront property, most units featuring double-height ceilings in living rooms and homebuyers can choose from one- to five-bedroom floorplans — many with outdoor patio space. In the kitchen, buyers will find top-notch Gaggenau appliances and honed Calacatta Tucci marble countertops, as well as solid walnut cabinets for a sleek, modern look. The master bath features a deep standalone tub and walk-in glass shower for a true spa-like experience. Amenities include: a pet washing station, a children’s playroom, rooftop bar, rooftop pool and a full fitness center. Pricing for available units starts at $3.6 million. Element88 is located at 88 Withers Street and was developed by Rybak Development and BK Developers. It has a total of 36 units, ranging in size from 638 square feet to 1,324 square feet. Element88’s one- to three-bedroom homes feature 12-foot-ceilings, spacious open layouts, elegant design, herringbone flooring and designer fixtures. Units also include high-tech smart thermostats. Amenities include: a package delivery room, virtual doorman, rooftop deck and wine cellar and tasting room. Pricing for available units starts at $797,500. 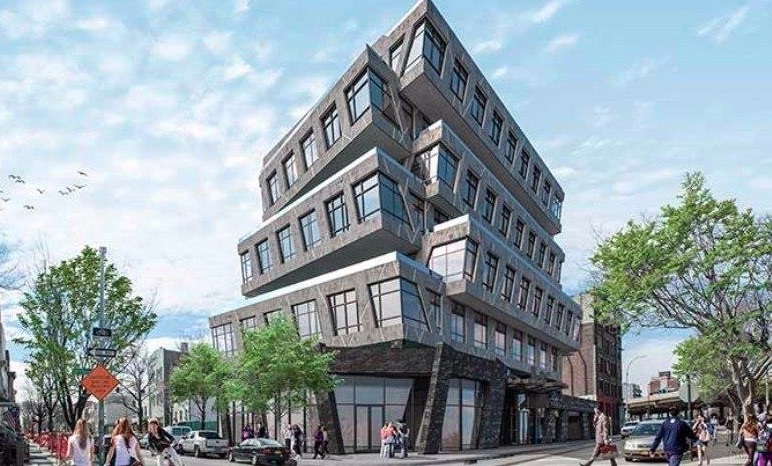 Developed by Evenhar Development Corporation, 50 Greenpoint stands parallel to the East River on Greenpoint Avenue. It houses 44 units in one- to three-bedroom floorplans. Residences come pre-wired for Verizon FiOS cable and internet services, have in-unit washers and dryers, and feature high-efficiency heating and cooling systems by Daikin. Amenities include: a pet spa, on-site parking, a package room and a resident’s lounge. Located on the waterfront at 21 India Street, The Greenpoint houses a total of 95 units, ranging in size from 723 square feet to 1,443 square feet. It is being developed by Palin Enterprises, Mack Real Estate Group and Urban Development Partners. The one- to three-bedroom residences offer spectacular views, open spaces and an abundance of natural light. The building is a short walk from The NYC Ferry, providing easy and fast commutes to Midtown and Downtown Manhattan. 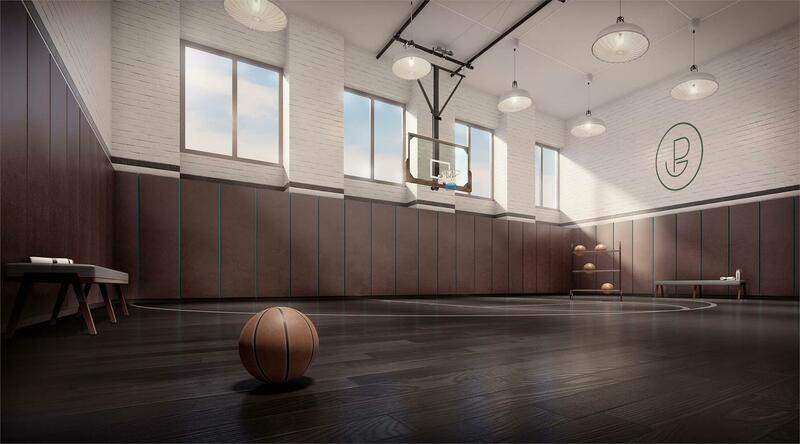 Amenities include: on-site parking, a basketball court, sun deck and a yoga studio. Pricing starts at $1.1 million. 200 Water was developed by Urban Realty Partners (NYC) and Megalith. It has 15 units in total, ranging in size from 1,867 square feet to 2,573 square feet. 200 Water is the last residential building to be developed on this landmarked cobblestoned street. Residences have ceiling heights of 12-feet and seven-inch prime grade radiant heated Siberian white oak flooring. 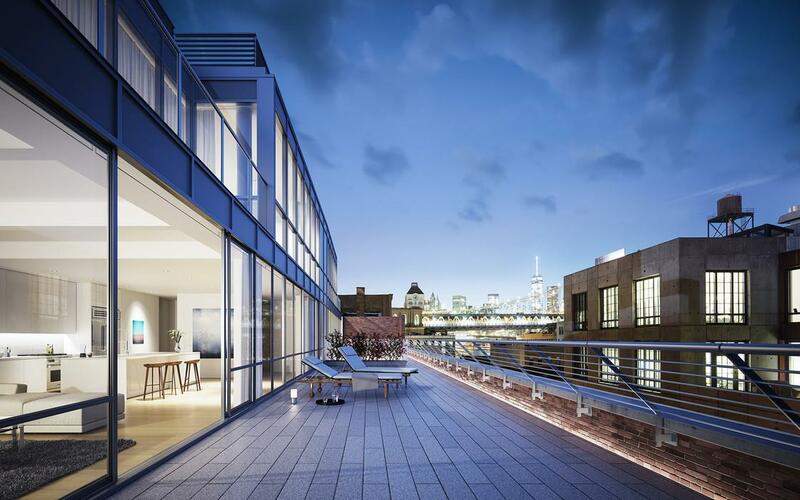 The penthouse has floor-to-ceiling windows and a private rooftop deck. Amenities include: a landscaped common garden and a fully attended lobby. Pricing starts at $2.8 million. 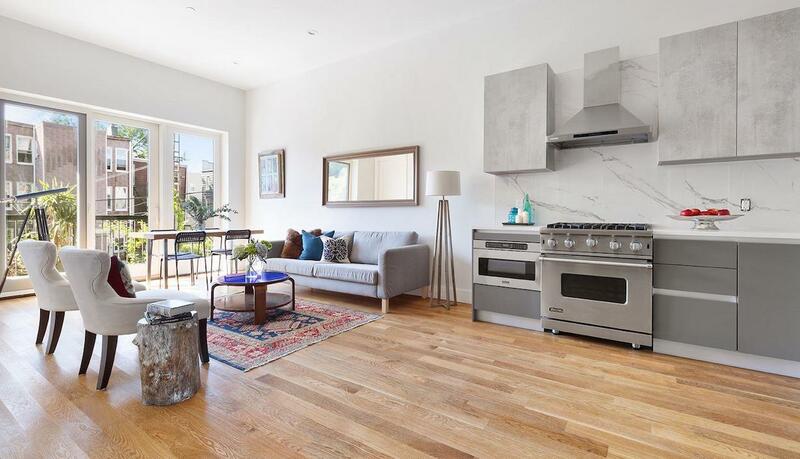 Developed by BK Developers, 222 Withers Street is a boutique condo building that houses six units, with sizes ranging from 918 square feet to 1,353 square feet. Located in the heart of Williamsburg, 222 Withers Street’s brick exterior embraces the neighborhood’s industrial past. The loft-inspired residences offer plenty of space, high ceiling heights and large oversized windows. Every unit includes private outdoor space. 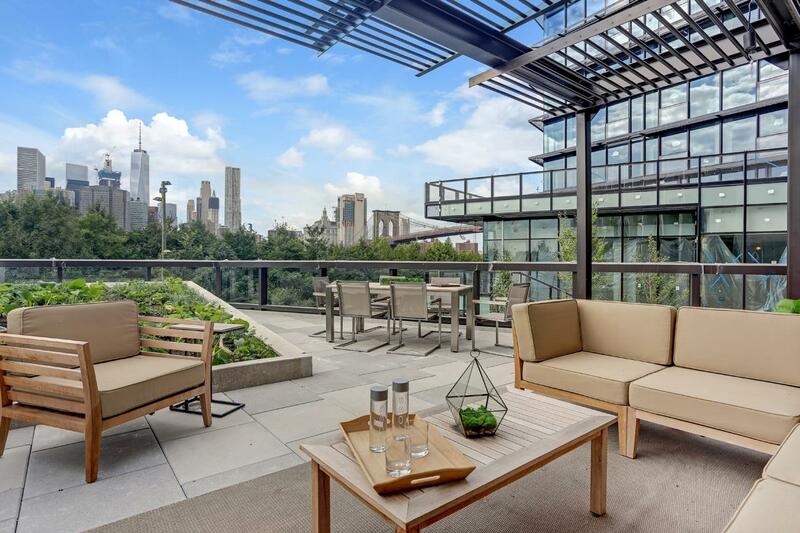 Amenities include: rooftop lounge, outdoor grilling stations and outdoor space. Pricing for available units at $795,000.